Allows students to discover and map important events in society and culture. Users can browse more than 400 ready-made, interactive timelines covering various periods in history or create their own timeline on any subject. 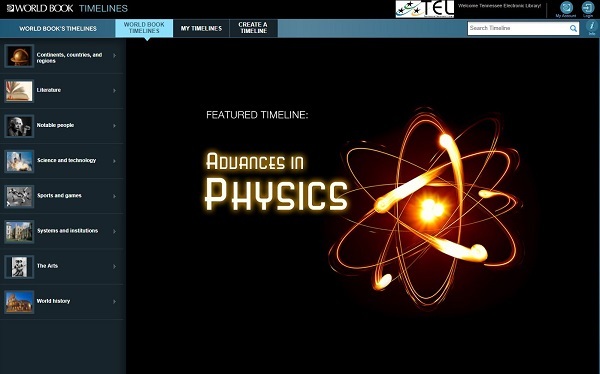 Browse existing timelines in subjects such as art, literature, notable people, parts of the world, science and technology, sports, and world history to visualize the cause and effect relationship between events. Organize information visually for genealogy, local history, or school projects. Work individually or in small groups to save existing timelines, edit and customize existing timelines or create your own timelines on any subject.